It’s no coincidence that NYE and NYS are nearly identical acronyms (just sayin’). New York State to is the place to be for this year’s New Year’s Celebration, from Saratoga Springs to Manhattan to Upstate New York. 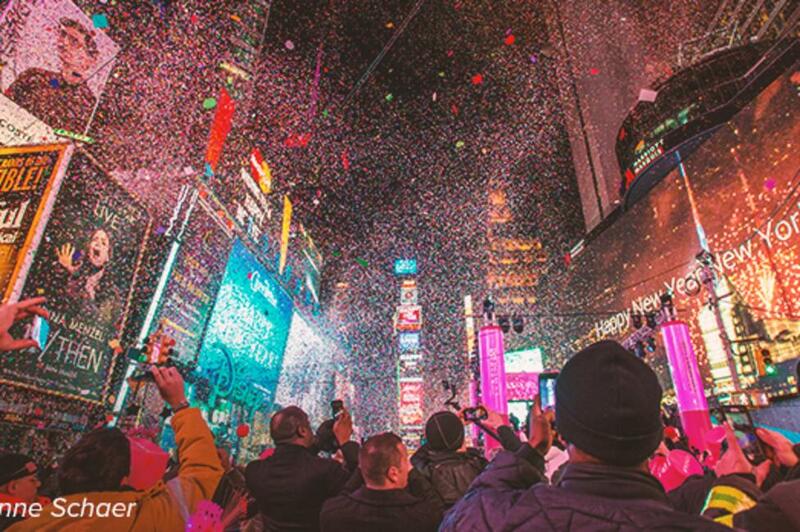 Here are all the wonderful ways you can ring in 2016 right here in the Empire State. Ring It In the Chautauqua-Allegheny way at Palmer’s Opera House in Western New York. 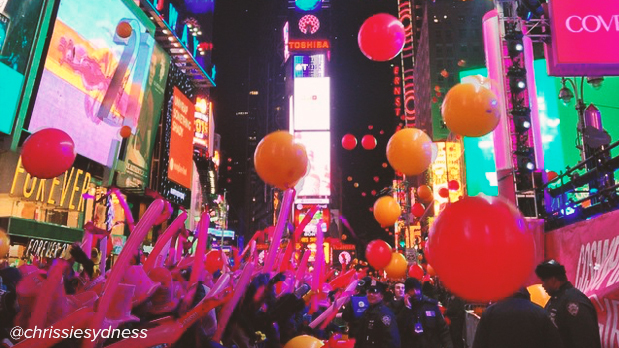 Celebrate the ball drop and enjoy with family, friends and fellow New Yorkers! Daughters, sons, mothers, fathers, cousins...bring them all to the Family New Year&apos;s Eve Party at the Castle in Chester! With go karts, laser tag, roller skating, an arcade, rides and more, you might be having too much fun to notice the New Year is upon you when the clock strikes midnight! Head to Manhattan for bright lights in the big city - as in fireworks. Step aboard the New Year’s Eve Party Cruise for an open bar, dinner buffet and a DJ to keep the party going well past midnight. The bright lights of the city won’t even begin to compare to the fireworks show that’s in store. Close 2015 by finding some inner peace at a New Year&apos;s Eve Celebration in Upstate New York. Travel to the Bhaktivedanta Mission in Round Top for a traditional sitar performance and guided meditation with Shanti mantras and prayers for peace for all. Head to New York City with your loved ones for a once-in-a-lifetime experience of watching the Times Square Ball Drop. As the clock approaches midnight, the eyes of the nation turn to Manhattan as the symbolic center for celebration of the New Year! Make a memory you’ll never forget. 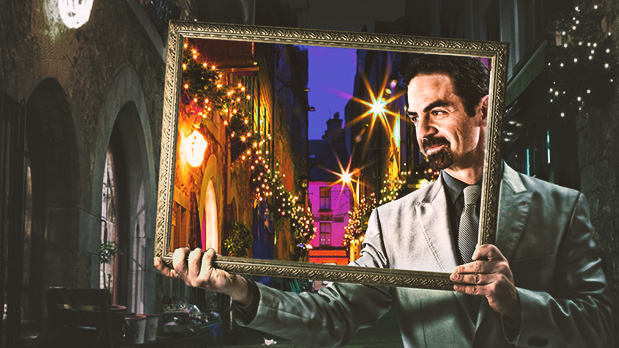 Celebrate more than just the new year at the First Night Saratoga. Join over 15,000 people to commemorate Saratoga Art’s 20th anniversary with more than 70 regional and touring art groups in historic downtown Saratoga Springs. The festivities start with a 5k run at Skidmore College at 5:30pm, and the night ends fireworks at midnight in Congress Park. Start the New Year off with a party on the slopes in Ellicottville with fireworks throughout the night and a midnight grand finale.The New Year’s Eve Celebration and Torchlight Parade will feature drinks, food and mocktails for the kids - the chairlift will even stay open late - through 11 p.m. - so you can hit the slopes to celebrate! Friends and family are great, but what about lions, tigers and bears (oh my!)? Celebrate New Year’s Eve at the Rosamond Gifford Zoo with a dance party, a ball drop and juice toast at noon. It’s the perfect event for kids - or adults who don’t want to grow up. And then there’s the Buffalo Ball Drop. 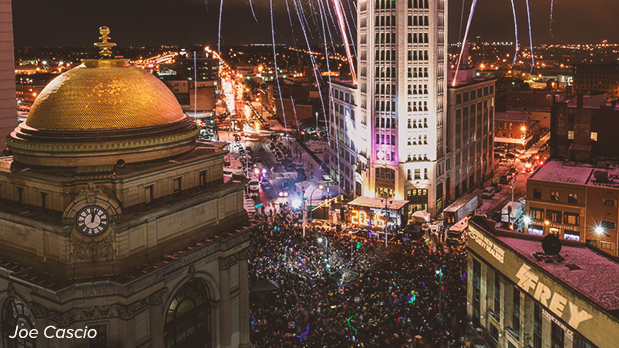 Considered to be the second largest in the country, the ball drop takes place around the Electric Tower in town center, which transforms into countdown central complete with an explosive display of fireworks. You don’t want to miss this! Ring in the New Year among great company and amidst breathtaking scenery in Lake George. Head to Fireworks Over the Lake or take a New Year’s Eve Dinner Cruise. Whatever you choose, your New Year’s celebration is sure to be romantic and unbelievably stunning. Don’t forget to post photos of your New Years Eve in New York State on Instagram and Twitter with #ILoveNY and #iSpyNY and tag us on Facebook!